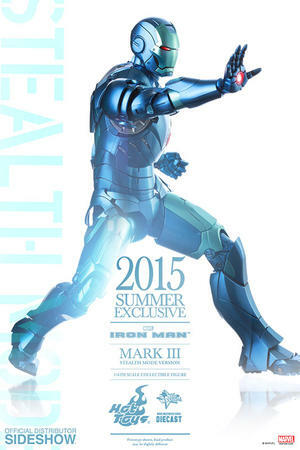 The Iron Man Mark III has always been a favorite armor among fans with its look resembling the Iron Man design from the comics! 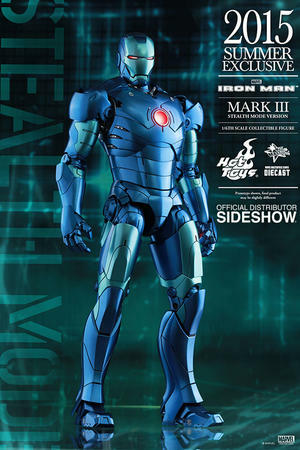 Throughout the Marvel Iron Man comics, Tony Stark has used stealth armor for various missions where covertness is top priority, and now Hot Toys is bringing one of his timeless stealth mode color designs to the popular Mark III. 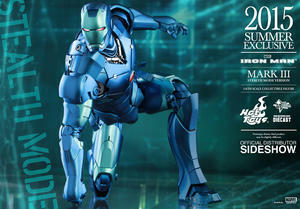 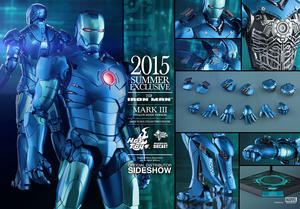 Sideshow Collectibles and Hot Toys are excited to introduce the new Iron Man Mark III (Stealth Mode Version) sixth scale collectible figure to the MMS Diecast Series as a 2015 Summer Exclusive item! 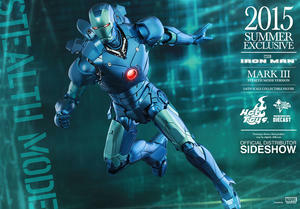 The collectible figure is made of diecast material to give the suit an even more realistic and metallic touch! 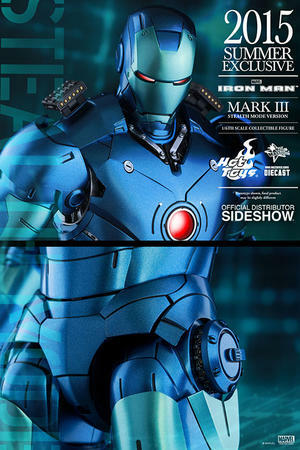 The Mark III (Stealth Mode Version) collectible figure is greatly detailed and features a specially applied two-toned blue and teal color design inspired by the classic Iron Man comics, LED light-up functions, interchangeable armor parts, and a distinctive hologram patterned figure stand.